Every organization has to analyze, plan, and report financials to internal and external stakeholders. A whopping 86 % of them still use Excel for planning. Spreadsheets are still the standard tool in finance as well. Excel is familiar, fast, and flexible – but problematic for business-wide processes. Painfully slow planning cycles and manual, error-prone processes not only decrease productivity. They also present a significant risk to the financial leaders responsible for driving down risk across the business. Professional solutions help finance professionals face these challenges and transform their role from pure number crunchers to strategic advisors to the business. (To learn more about the challenges of Digital Finance, click on the link below). Jedox simplifies and accelerates all processes in finance through a unified planning, reporting, and analysis solution. Thanks to its familiar look and feel of Excel, your business can quickly transform data into action. Jedox Models for P&L Planning, Cost Center, Balance Sheet, and Cash Flow kick-start your project and streamline your planning processes. Its pre-built business logic is easy to customize for deployments within weeks instead of months. You can also add further Jedox Models (e.g. Sales Planning) to integrate detailed budgets for divisions or departments. Jedox is designed for business users and stands out for its flexible modeling. Transfer your planning knowledge and experience to a modern planning solution you can use in Excel, the web, and on mobile devices. While some CPM software solutions that view Excel as a problem to eradicate, Jedox recognizes its ongoing popularity among business users. Powerful Excel add-ins combine its familiar ease of use without compromising data security and integrity. Whether you choose pre-configured Jedox Models for integrated financial planning or build your own solution from scratch, Jedox ensures state-of-the-art data governance. Integrate planning across your organization. Flexible cloud, on-premises, and hybrid deployment options align with your IT strategy. Use the powerful modeling engine to build enterprise-class solutions for planning, analysis, and reporting. The Jedox platform ensures greater flexibility and controls to adapt your data models over time. Get financial insight into your business at any time and build a solid foundation for integrated decision-making. Access the cost data you need for planning from all departments and ensure consistency with easy-to-use tools. 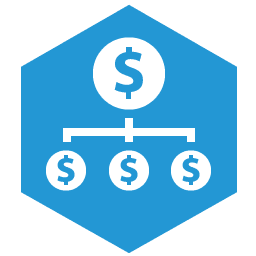 Monitor your cash position closely and automate calculations through direct links to P&L and the balance sheet. Calculate opening and closing balances for a period and feed financial statements such as cash flow and P&L. Jedox Models use tried-and-tested modeling techniques to ensure fast results. You can easily add further, integrated modules to extend your planning application.